Apple is the company that just keeps on giving, it seems. Whilst Android users are generally blown away when they receive a firmware update, iOS device owners just accept it as the norm. With iOS 12.0 final released recently, iOS 12.1 beta out in test with developers, and iOS 12.0.1 now in the hands of the public, all in the space of just over couple of weeks, we’re going to look at the changes and security content of that interim firmware release. iOS 12.0 final was actually a big deal. iOS 12.1 beta, which went into external testing with developers recently, is also extremely notable as it’s the first major upgrade for iOS 12. However, iOS 12.0.1 pales into insignificance when compared to both of those releases, as, is the naming convention suggests, it is just a relatively minor bug fix release that Apple is looking to get out into the hands of device owners. This release doesn’t open up a new world of possibility as far as features are concerned but it does focus on stability and performance, which, after all, is meant to be what iOS 12 is all about. 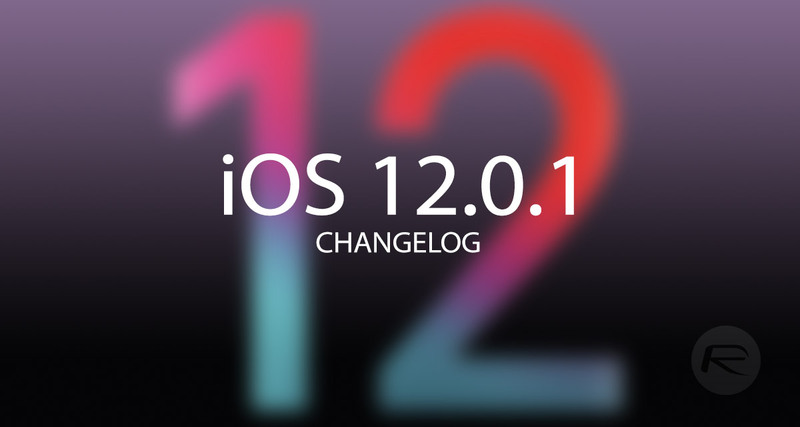 It’s worth mentioning that if you are already on iOS 12.0, then upgrading to iOS 12.0.1 won’t have any detrimental effect on your ability to jailbreak as there is currently no official jailbreak solution available for any flavor of iOS 12 – although the community is rumbling with positivity about the future – meaning that upgrading to iOS 12.0.1 from iOS 12.0 in order to take advantage of the new improvements and stability enhancements shouldn’t have a negative effect on you at all. In fact, quite the opposite as this is a bug patch release which should improve your experience. You can find out all about the improvements below. If you haven’t downloaded iOS 12.0.1 yet, or are still looking at the available updater on your device and are wondering if it is even worth your time going through the process, then you can find all of the relevant information about the update above. That includes Apple’s official release notes, highlighting any changes, and any security-related content which outlines exactly which bugs and vulnerabilities the company has patched with this release.